Implementing Clevertap is similar to installing Segment for the first time. You’ll need to create a plan that includes all the events and user traits to be collected, decide which libraries and SDKs you need to collect that data from, and install them into your product(s). The Clevertap API is similar to Segment in the way it collects event and user data. Many of the Clevertap marketing features are configured in its app and don’t require much code after the initial implementation, so the faster you can get the SDK installed the better. When you’re choosing whether to install CleverTap natively or to integrate it via Segment, consider that you’ll need to spend the same amount of time implementing either tool, and if you spend that time learning Segment’s API, you’ll save time with any additional tool you add to your stack after Segments, eliminating the need to various tool APIs and methods each time from scratch and cutting away redundant coding. 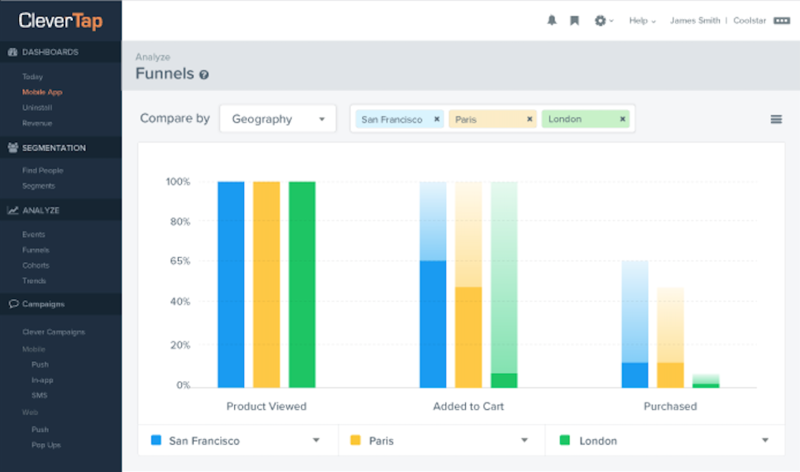 Analyze funnels, events, cohorts, and trends via different dashboard views. 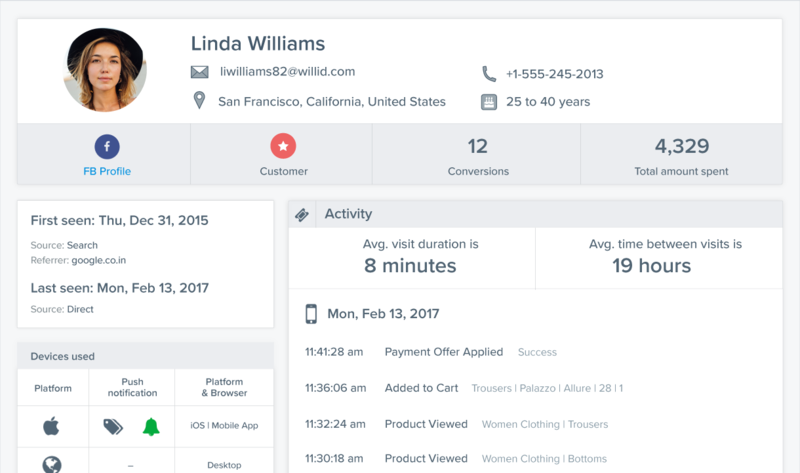 Build user profiles for every user and store demographic data, app and web interactions, and transaction history. 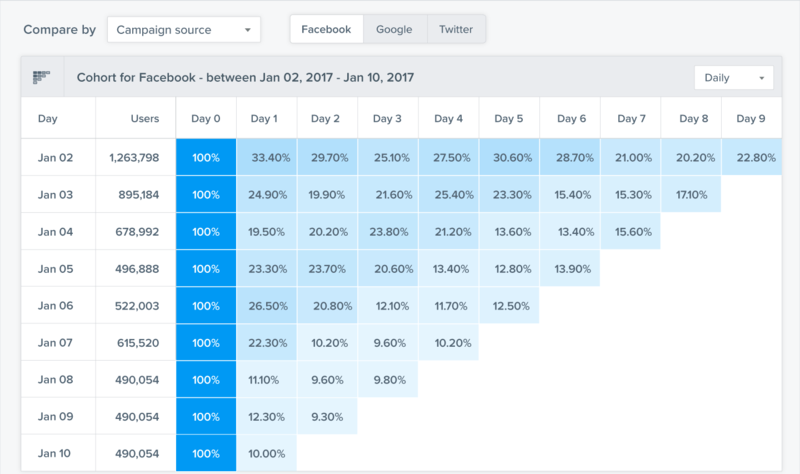 Compare long-term user retention and value from different sources to evaluate acquisition channels. When you use Segment to send data to Clevertap your developer only needs to learn Segment’s API and 3 simple methods: identify, track, and alias. If you’ve already got Segment installed, all that needs to be done is to bundle the Clevertap SDK, if you haven’t already. All the code mapping is taken care of by Segment without code changes to existing Segment hooks throughout your mobile app.